Our buildings are easy to assemble! Over 80% of Duro Span customers erect their buildings themselves, without the need of any special tools or equipment. Standard 2’W x 10’L, 40 lb. panels are easy to work with, only one size of bolt is used throughout construction, each building is shipped with an easy-to-follow assembly manual, and support by Duro Span means that you are never far from expert help. Clear span trussless steel building design ensures that building interiors can easily accept conventional insulation, electrical wiring heating and air conditioning ducts, plumbing systems, drywall, false ceilings and partitions. Duro Span steel buildings feature clear span construction, which eliminates space robbing trusses and posts. This ensures maximum usable space, which means lower cost. Clear span trussless steel building design ensures that your steel building interior can easily accept conventional insulation, electrical wiring heating and air conditioning ducts, plumbing systems, drywall, false ceilings and partitions. 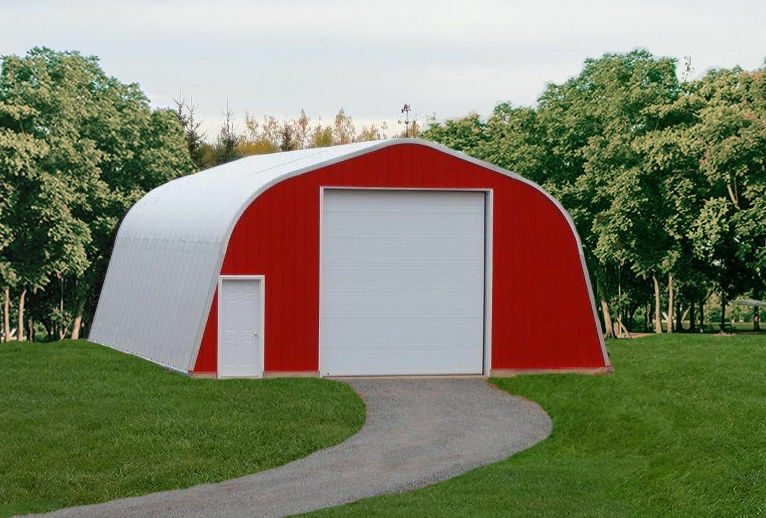 Duro Span steel buildings outlast most all other structures, and longer life means lower cost. Duro buildings are constructed of AZ180 Galvalume Plus™steel, which offers a 30-year factory warranty against corrosion, and materials will not deteriorate or require replacement. Duro Span provides world-class engineering and support. All Duro steel buildings are designed and tested to the highest standards of quality by factory-employed engineers, and complete engineering drawings are available upon request. Duro buildings are virtually maintenance free. Each structure is manufactured using AZ180 Galvalume Plus®steel, which offers a 30-year factory warranty against corrosion. This all-steel construction eliminates maintenance associated with rot and warping, and the fine spangle and soft metallic sheen eliminates the need for painting.